Rep. Rush Holt (D-NJ) and Roscoe Bartlett (R-MD) deserve enormous credit and thanks for leading the congressional effort to hold the FBI accountable over its bungling of the investigation into the post-9/11 anthrax attacks that killed five Americans. The FBI has officially “closed” the case and conveniently blames a dead man, who committed suicide under FBI pressure, for the anthrax murders. 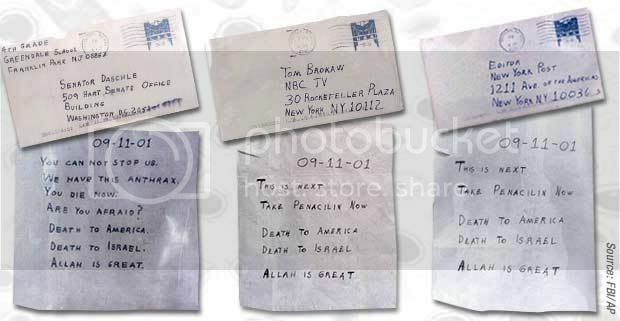 This is a very good one, on the anthrax attacks.